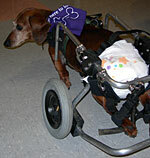 Tiny Tink the paraplegic doxie takes part in Pet Therapy! Pet therapy... a concept based on bringing the companionship and love of animals to people who may otherwise not be able to enjoy this type of relationship. 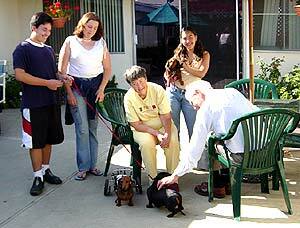 Kathy Fuller and her daughter, Sami Blake, have been sharing their three dachshunds with the residents of The South Pasadena Convalescent Hospital for the past year. It all began at the local 4th of July parade, when residents seemed more interested in the dogs than in the parade! One of the dachsies, Mickey, was adopted from Beagles and Buddies three years ago. Another dachie, Tinkerbell, is currently being fostered for Beagles and Buddies. Tinker is a very special being. As the result of abuse, her back legs do not function. However, this disability has not become disabling. 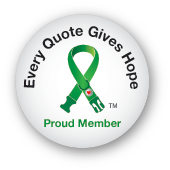 Her indomitable spirit has proven to be inspirational and brings cheer to many residents of the retirement home. She enjoys bringing good will to others and in her wheels, she moves as fast as her dachsie friends. 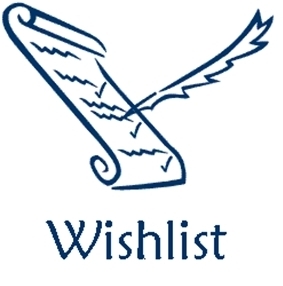 These pictures include the following: Volunteers: Kathy Fuller, Sami Blake, Jasmine Tomita, Kevin Carrion. Residents: Natalie, Rusty and Celestine; and of course, the stars of the show, the doggies Mickey, Tinkerbell and Courtney. 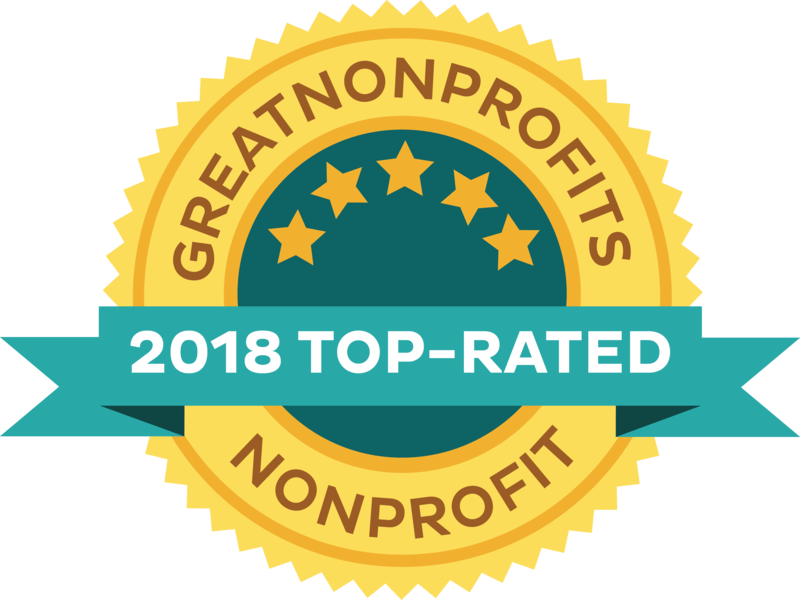 We hope you enjoy the pictures of our dogs, our friends, and our experience of pet therapy. Tiny Tink, a true Pet Therapy Super Star! 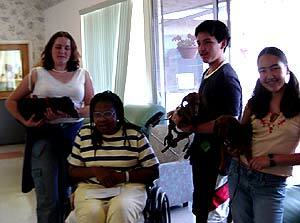 How many wheelchair-bound dogs visit nursing homes and assisted living facilities around Southern California? The answer is relatively simple: one. 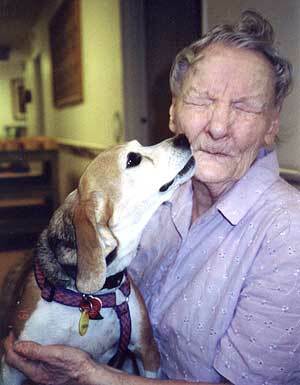 Robyne M. Taylor takes dogs to visit in nursing homes. The picture below shows Jezebel working her sweet kisses on this lady! Jezebel and the wonderful folks she owns, Robynne and David Taylor of Idyllwild and Rancho Mirage, now spend their days making lots of people happy!